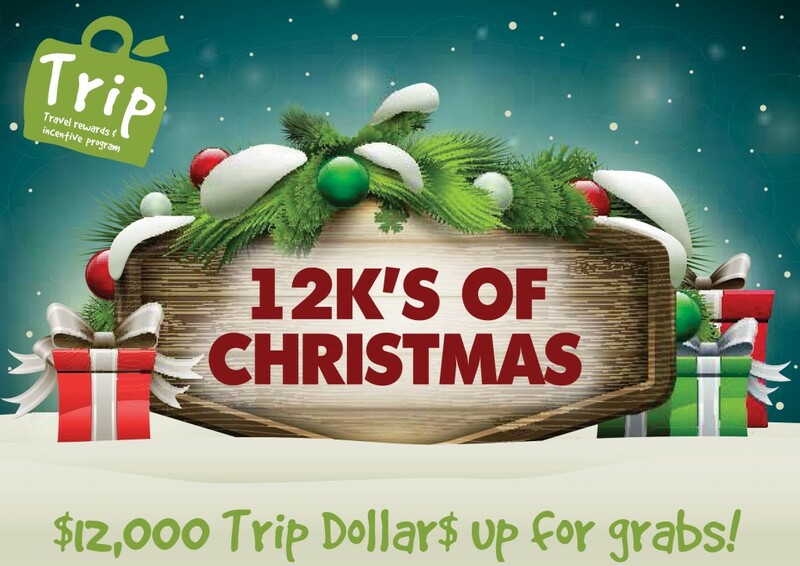 ATTN AGENTS: Get festive with the 12k’s of Christmas incentive! Just in case you need another reason to love Christmas, Qantas Holidays and Associated Brands have launched a festive new agent reward program! For the first three weeks of December, bookings made across brands including Qantas Holidays, Sunlover Holidays, Viva! Holidays, Territory Discoveries, ReadyRooms, Insider Journeys, Asia Escape Holidays and Rail Tickets are eligible to earn mega Trip Dollar$ with a total giveaway of $12K on offer. To be in the running agents just need to deposit a new booking that departs before June 30th, 2019. $500 in Trip Dollar$ will be awarded each week and in each state group to the agents who make the most number of bookings and also to the agents who book the most revenue across bookings made in the qualifying period (December 2nd to December 22nd). Top number of bookings and top revenue in each state group will be awarded $300 Trip Dollar$, second place will receive $150 and third place $50. To make winning a little bit easier, and meet the surge in demand for last minute holiday bookings in December and January, allocations have been refreshed and expanded across key destination in Australia, Hawaii, Bali, Fiji, Singapore and Thailand. Combined with the new last-minute availability feed from Priceline into ReadyRooms with discounts of up to 65 per cent, your bookings will practically be selling themselves. “We’re seeing a lot of last-minute enquiry for popular destinations for December and January bookings and the good news is we have increased our allocations to meet the demand,” Qantas Holiday’s head of Wholesale sales, Steve Brady said. The group of Wholesale brands recently released two key upgrades to ReadyRooms with an additional content feed sourced from Priceline, owner of Booking.com. This new feed provides a dedicated inventory of discounted and distressed product with discounts of up to 65 per cent off full price and an average discount of 30 per cent. The feed also provides a substantial range of additional hotels, additional inventory and additional rate types. An advanced admin dashboard has also been released in ReadyRooms that gives managers more control. The ability to Name Your Own Price (NYOP) is proving to be one of the most popular features in the system. With managers having the ability to set rules on how they manage NYOP at an agency level by setting a NYOP level or setting limits on the minimum or maximum NYOP allowed. Managers also now have the ability to give access to consultants in their agency to see all bookings. For more details on the $12k of Christmas Incentive go here. Helloworld Business Travel member Digby Warren will be setting off for the 10th time this June on The Outback Car Trek to raise funds for the RFDS. Some Nine journalists have reserved spots in the media company’s naughty corner for the week following some erroneous reporting on the travel industry. WARNING: this article comes with a fair amount of venom and bile from Australia’s ambassador to the US, so make sure you’ve got a hazmat suit handy before reading.